Bargain hunters unite! It’s Krazy Dayz weekend in Winterset, and my computer’s auto-correct does NOT like that spelling, but that’s our story and we’re sticking with it. 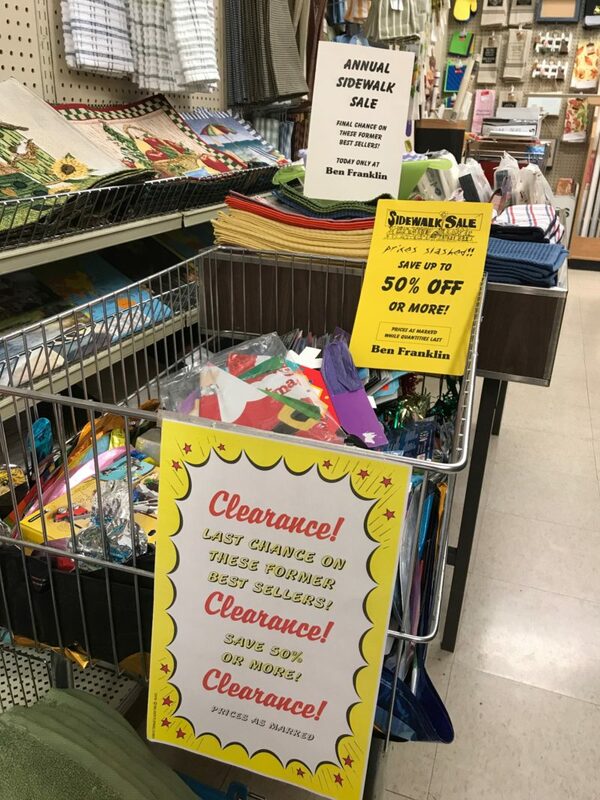 There will be all kinds of krazy deals around the square, as the merchants collectively clean out their basements and back rooms to offer mark-downs and clearance items on Friday and Saturday, July 28 and 29. Ben Franklin is busy loading up carts and tables with items up to 50% off, and they’ll have free ice cold water to help beat the heat. 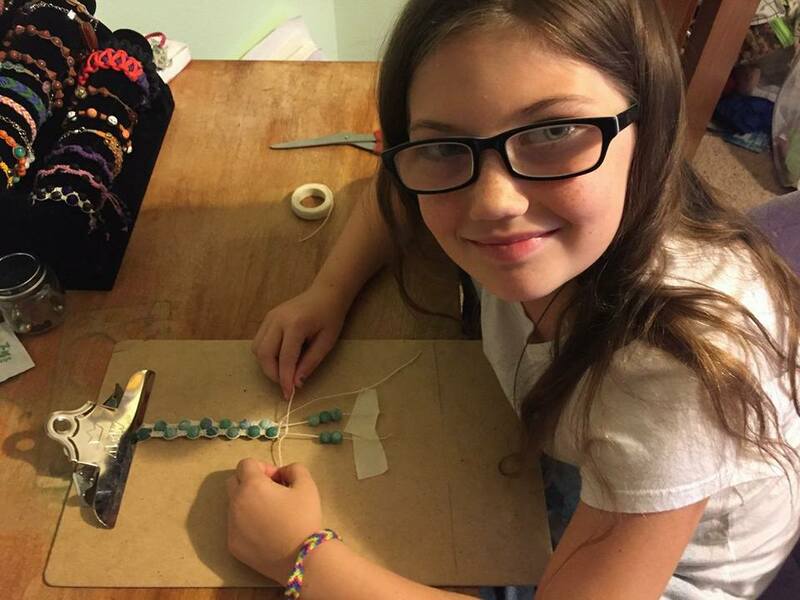 In addition to sales on seasonal home decor and clothing from 8:00 to 4:00 on Friday and Saturday, 30 to 70% off, Angel Wings & CT will be featuring a budding new jewelry artist in Winterset, Ava Lemon. Miss Lemon will be debuting her wrap bracelets at the store from 10:00 am to 1:00 pm (on Saturday only). Stop in to see how busy this nine-year-old has been this summer and how she learned her technique at summer camp. 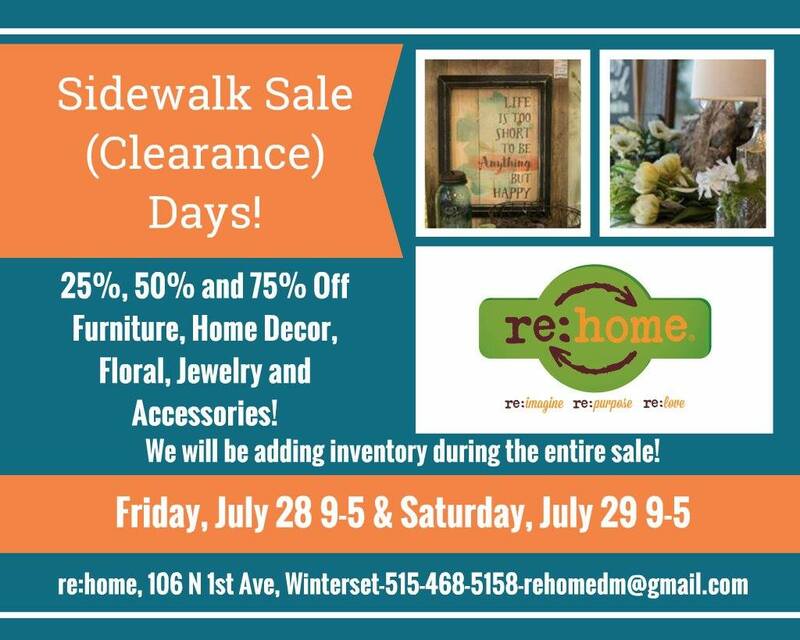 Re:home’s sale will be Friday and Saturday from 9:00 to 5:00, and please note they are accepting cash and checks only for discounted items. 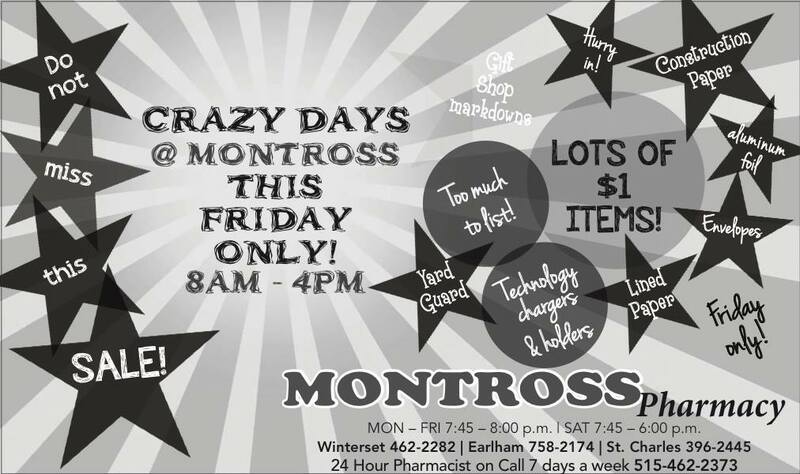 The action at Montross Pharmacy takes place on Friday only this year, from 8:00 to 4:00. And of course that’s not all. Look for more bargains at Village Bootery, Pine Creek Ltd., Heartland Fiber, Madhaus Gallery, and more. 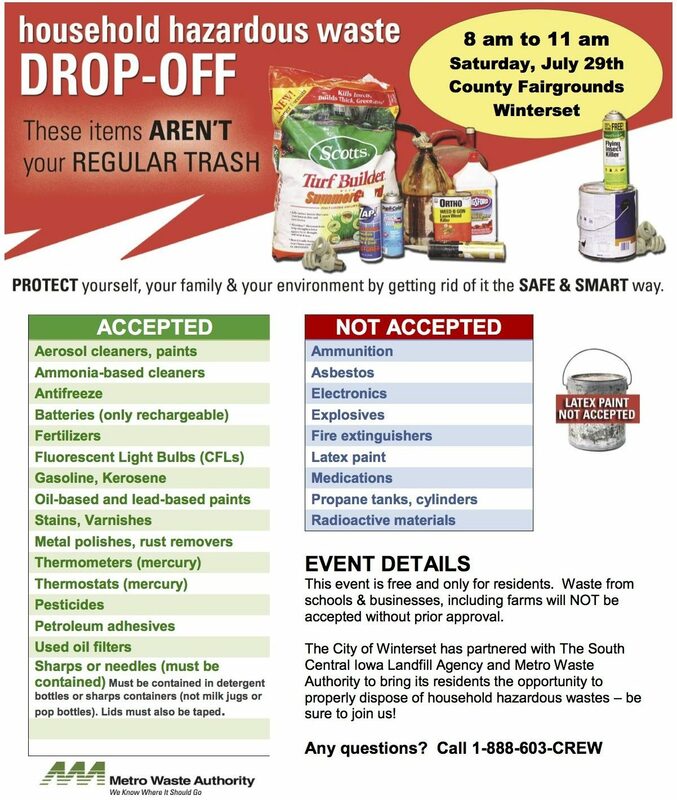 Metro Waste Authority is offering a Household Hazardous Waste Drop-Off event from 8:00 to 11:00 on Saturday at the Fairgrounds. Be sure to note what they will and won’t accept. 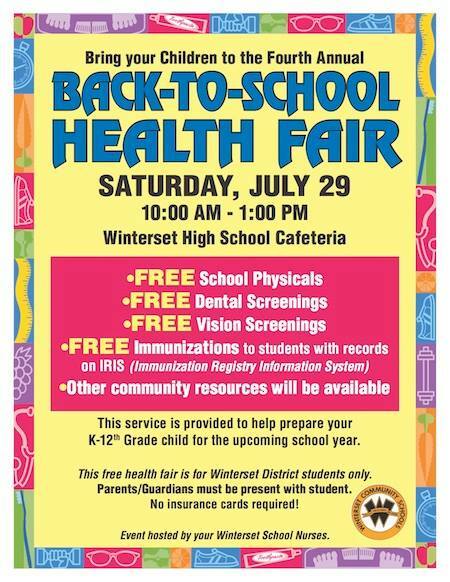 The Winterset Community School District is hosting a Back to School Health Fair on Saturday from 10:00 am to 1:00 pm, to assist families of Winterset district students with necessary health services prior to the start of school in August. Parents and/or guardians must also attend. No insurance cards required. 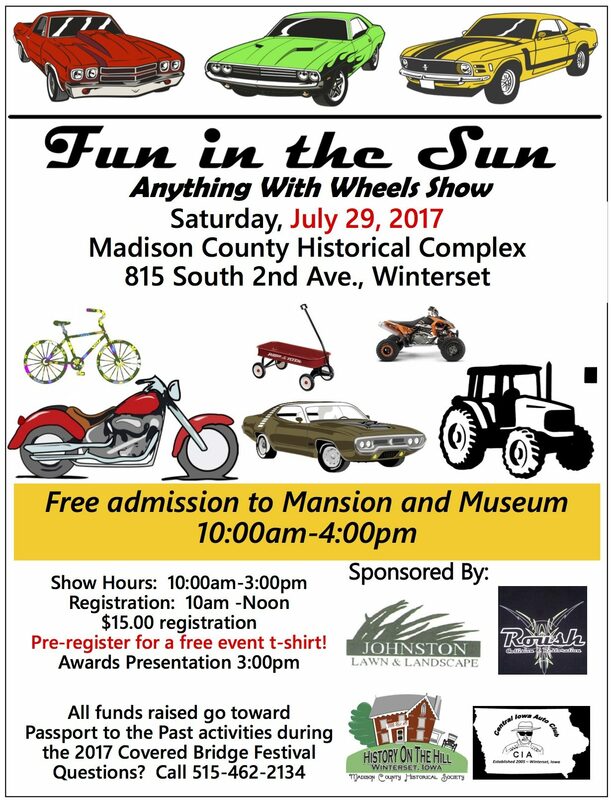 The Madison County Historical Complex will host their Fun in the Sun Car Show on Saturday from 10:00 am to 4:00 pm, with free admission to the Bevington-Kaser Mansion and Museum. The Winterset Cidery will have live music on Saturday evening from 7:00 to 10:00 pm. 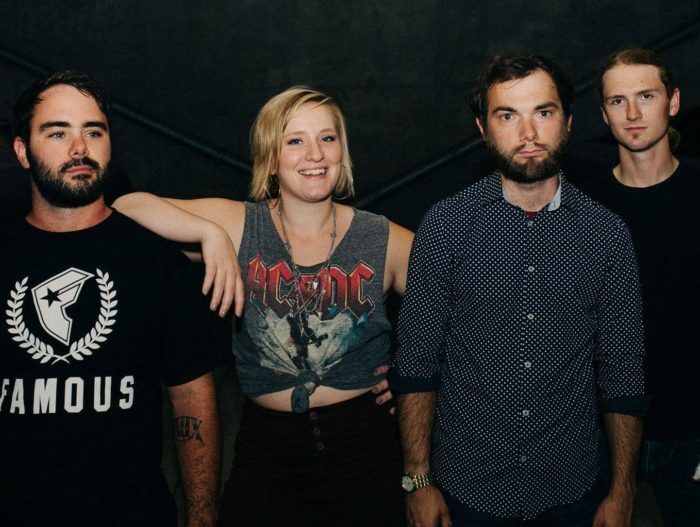 Kaleena Calcutta is an emerging Canadian-born singer, songwriter, performer, and recording artist touring North American since 2010, and she has a serious connection to Winterset. I bet you recognize these faces! 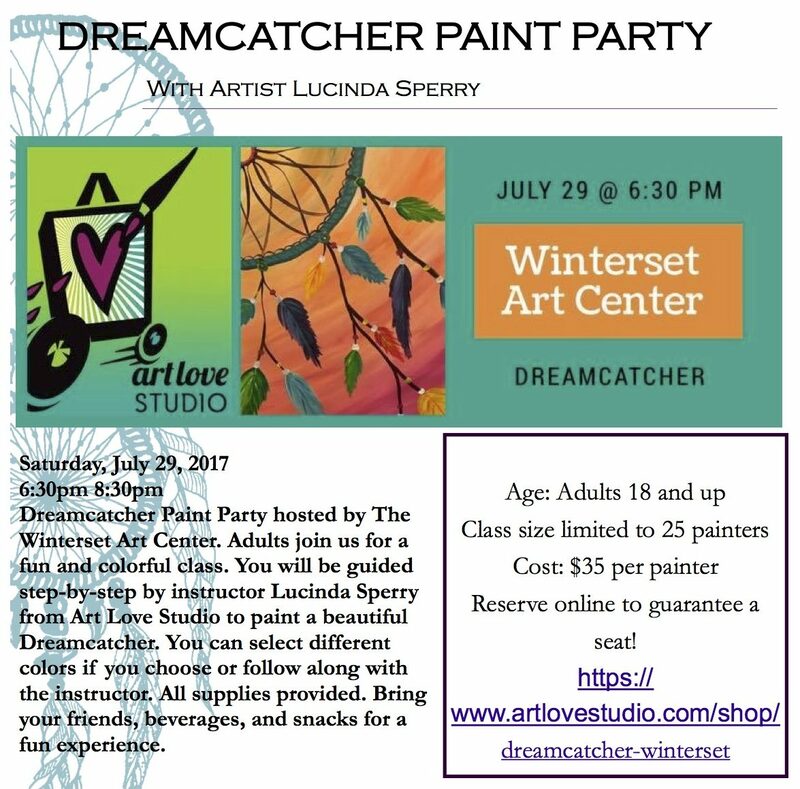 For those who love a good “Wine & Canvas” party, here’s an opportunity at the Winterset Art Center Saturday evening at 6:30. Be sure to register online to make sure there’s space still available. 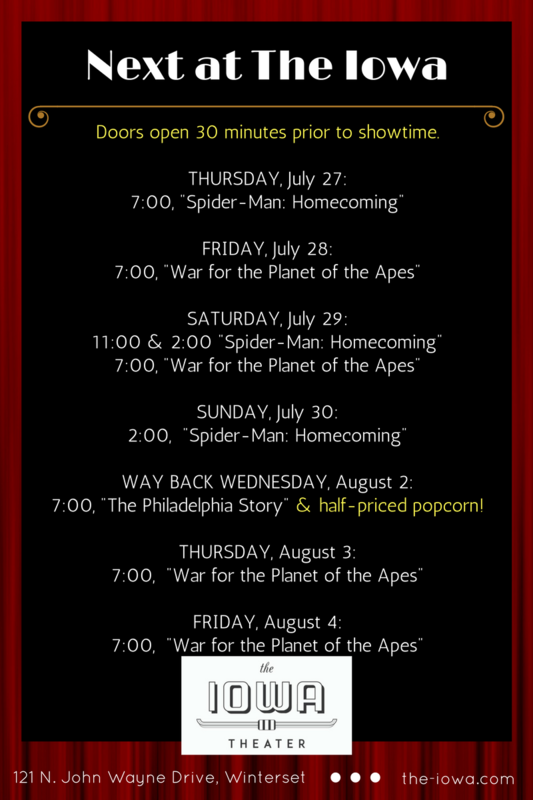 This weekend at The Iowa Theater, “War for the Planet of the Apes” opens on Friday! 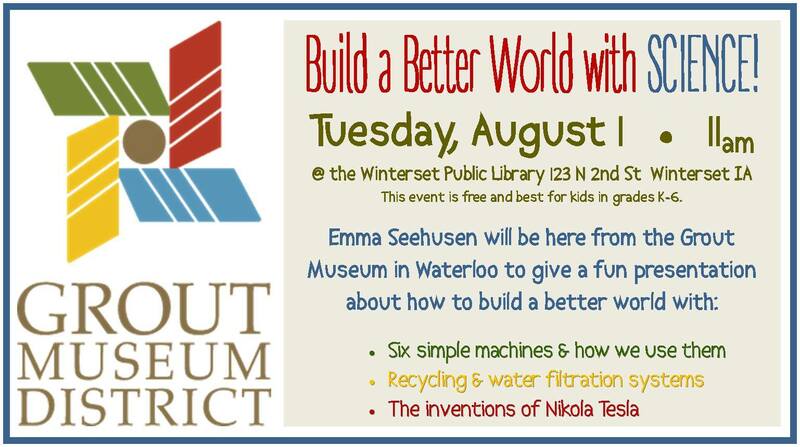 Kids in grades K-6 will enjoy this presentation from the Grout Museum at Winterset Public Library on Tuesday, August 1st. 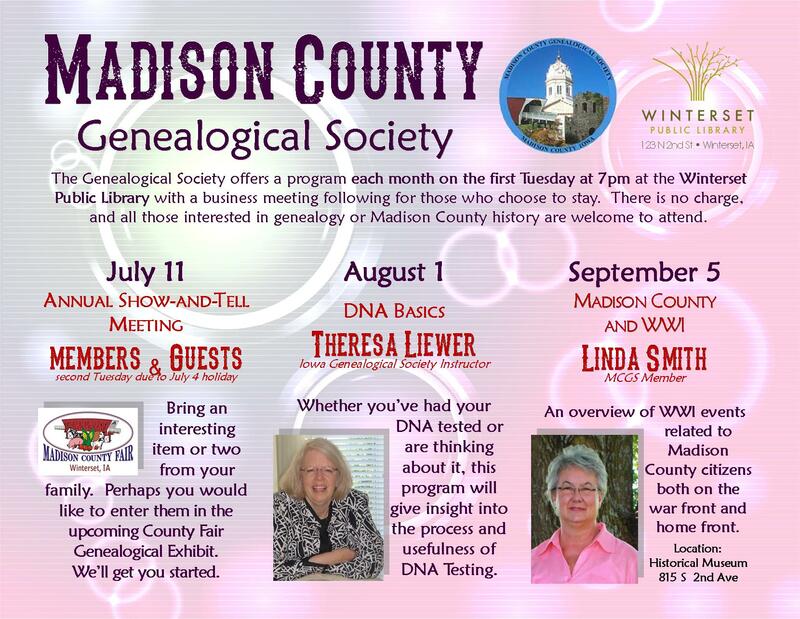 The August 1st meeting of the Genealogical Society is about “DNA Basics”, presented by Theresa Liewer at the Winterset Library. If you’ve ever been tempted to try this method of learning about your ancestry, here’s your chance to find out what to expect. 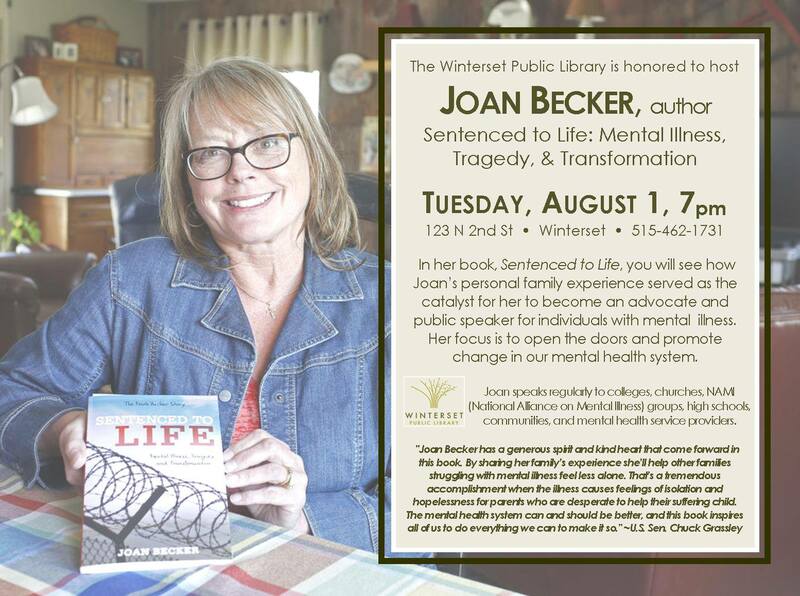 Also on August 1st at the Winterset Library, meet Joan Becker, author of Sentenced to Life: Mental Illness, Tragedy & Transformation. 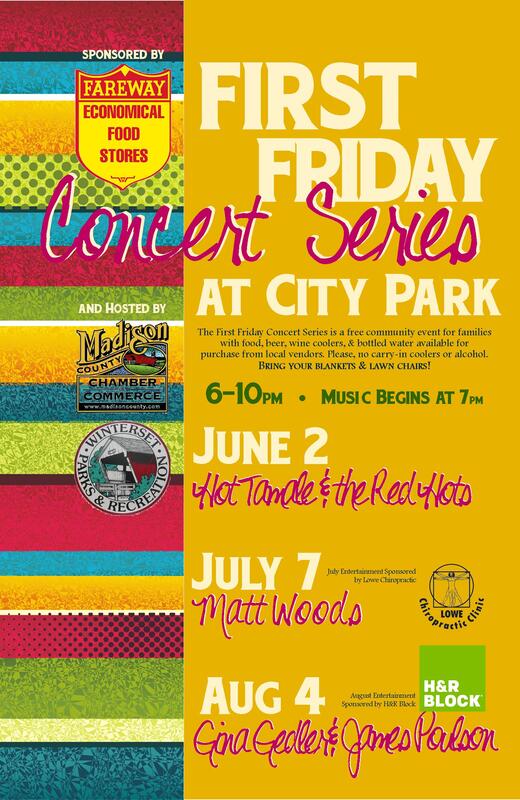 Friday, August 4th is the final “First Friday” event in Winterset City Park, with food and beverages from 6:00 to 10:00 and music by Gina Gedler and James Paulson starting at 7:00. In addition, all are invited to join the Winterset Parks & Recreation Department for a BRAT (Bike Ride Around Town) the same night, pre-concert. The ride will begin at the City Park at 5:00 pm and end back at the park in time for the festivities. Contact John Pletchette at 515-462-3258 for more information. Register today for the annual Cannonball Pump & Run (1 Mile & 5K), hosted by the Winterset Rotary Club on August 5th. 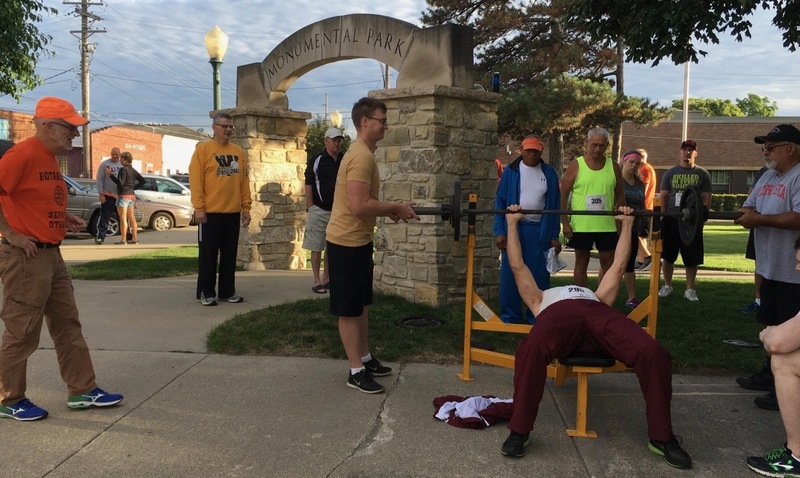 In this unique event, participants bench press their body weight (or a percentage of their body weight) as many times as possible, then run a mile or a 5K. Each successful repetition of the bench press earns competitors 15 seconds off their finish time in the race. Lifting begins at 7:00, and the run starts at 8:30 am. Register online right here. 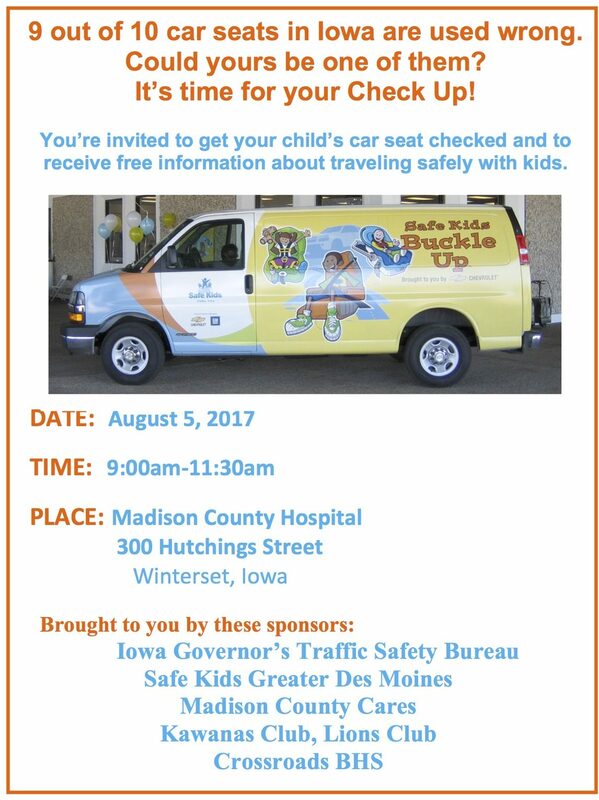 Parents, grandparents and childcare providers of all kinds are invited to a free car seat check on August 5th from 9:00 to 11:30am at Madison County Hospital. 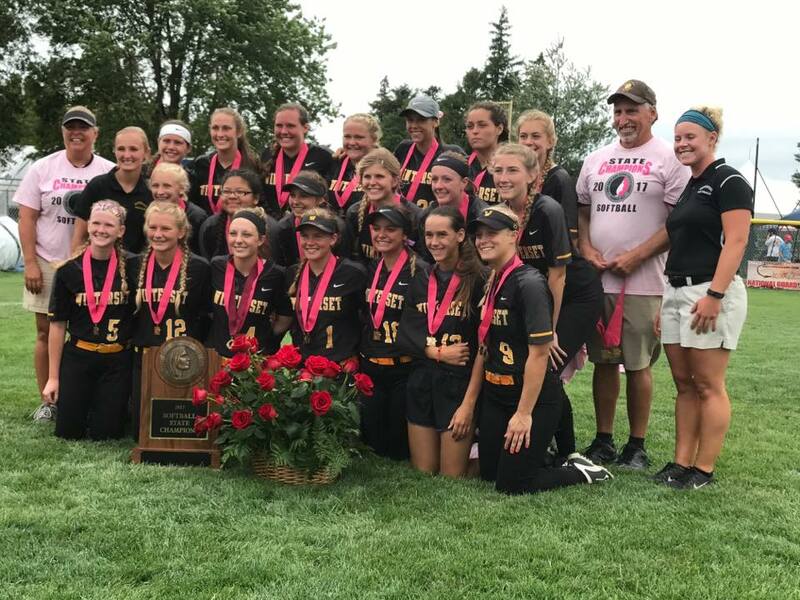 Congratulations to the Winterset Softball Club, 2017 State Champions!